If you’re debating whether to start a blog for your small business then let me start by saying blogging can put a local business’s Internet Marketing on steroids. But… here’s the catch… it does require an ongoing commitment to write regularly for your blog. 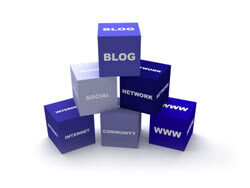 However, having your own blog has a number of benefits to help you increase your online presence and send targetted traffic to your web site to get more prospects and customers.